Elouise on Love on the Prairie Sale!! Lisa Drew on Love on the Prairie Sale!! Despite the looming threat of the sub-tropical Storm Alberto, we decided to pack up and head to Disney. After an easy, and eerily traffic free drive down to Florida, we rose at an unseemly time in order to make those invaluable Magic Hours. We stepped out of our one-night stop hotel into the darkness full of haunting insects chattering and thick humidity, warning that storms loomed nearby. There was no choice, though. Not when the infamous rare spotting of the Avatar Fastpass continued to elude us. Standing in a body constricting crowd at 6:30 A. M. is a minuscule price to pay when a highly sought after shiny new ride awaits. I will say that it was worth each sweat slicked stranger, back aching, how-much-longer question. Avatar is by far the most endearing, imaginative, breath-taking ride full of swoops, slides, and sensory infused moments. An instant immersion into another world. I felt the expansion of my banshee’s lungs, it’s panting as it rested on a breath-steeling cliff overlooking an oasis of unparalleled beauty. With still more than thirty minutes left in our Magic Hours, we ride hopped across the park. 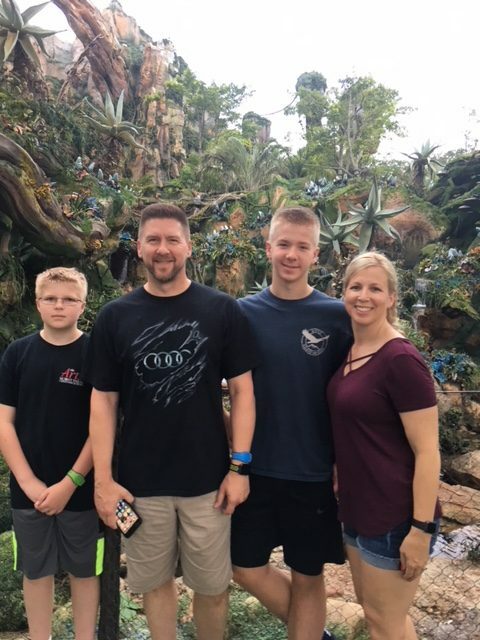 By ten in the morning, we’d ridden everything we had on our family wish list, so we made our way out, tunneling through the crowds pouring in for their Animal Kingdom Adventure. 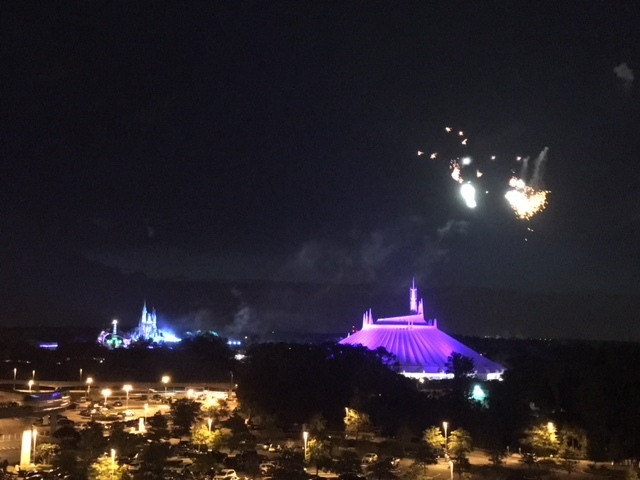 After dropping our car off at Bay Lake Towers and walking to the Magic Kingdom, we slipped onto Space Mountain with minimal lines and we realized we’d smoked our original plans by about five rides. What could possibly stop us now? We were on a roll. Ha! Never say that or the wicked queen will cast her spell. Oh, and was it a zinger. Our perfect day was zapped with the ray gun of frustration and ill-temperament as the Buzz Light Year line quoted to be thirty minutes exploded into almost two hours. When we reached the front of the line we discovered that twenty ‘groups’ were ushered through from the Fastpass line for every two in the standard lane. The Pixie Dust had worn off the patron ahead and he wasn’t buying this as a valid answer. To be honest, neither did I. Why not quote a different time on the standby clock then? Of course, if you know me at all, I was already loading the flight to my next adventure and forgetting about the turbulence we’d managed to navigate through. The highlight of our day rumbled into the park faster than Big Thunder revved its locomotive engine in the form of rain. A ride we’d enjoyed for years became a novelty when a Victoria Falls downpour pummeled us while we chugged through the canyons and raced down the broken tracks of the old mine. It was one of those rare moments that we will never forget. The entire family laughed as we wrung out our clothes and sloshed our way to dinner. A cold, yet fantastic meal at the Plaza Restaurant. It has always been a family favorite. When the day ended, and we shuffled our tired feet toward our hotel, we’d managed to ride twelve rides, including the unforgettable Avatar, stuffed ourselves full of scrumptious savory and sensational sweets. There was still one more surprise for the kiddos, though. 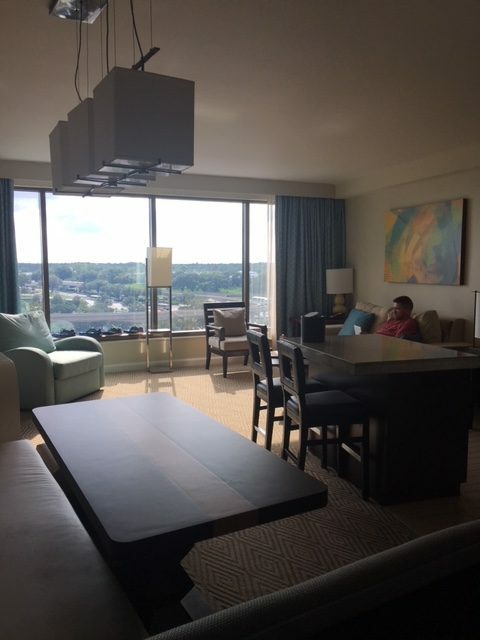 I’d upgraded our room to a theme park view, so we spread out in our two-bedroom luxurious condo and settled onto our balconies to close our nearly perfect day with a little Disney Firework Magic. Love on the Prairie Sale! !